"JIRA Software is an issue and project tracking tool used by software development teams." 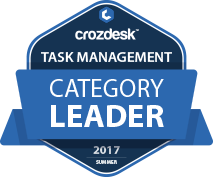 JIRA scored 86/100 in the Task Management category. This is based on user satisfaction (79/100), press buzz (62/100), recent user trends (rising), and other relevant information on JIRA gathered from around the web. Does JIRA offer multi-user capability (e.g. teams)? Does JIRA integrate with any other apps? Does JIRA offer an API? Who are the main user groups of JIRA? What is JIRA generally used for? What platforms does JIRA support? Does JIRA offer guides, tutorials and or customer support? 3.94/5 based on 76 user ratings. Ingenious tool to track problems and manage projects or tasks. What do you like about JIRA? I love the one that allows distributing the tasks among the users or members of the teams that are in charge of carrying out the development of the projects or software, since in this way it is much simpler to complete it, besides it offers the option of to be able to visualize the state of these is to say how much progress has been made in them, or which are priorities in this way there is no way that there is any delay in them and the best that creates reports of the data entered in real time thus helping with the performance of the team in general. What do you dislike about JIRA? Its configuration and interface require a somewhat elevated learning curve, since they are not easy and the software does not offer a tutorial or information that gives much more precise indications or compresses to be able to work with it in the easiest way. What have you been using it for and what problems did JIRA solve? It has allowed us to carry out the planning, monitoring and supervision of projects in a very good time, thanks to the tasks that are distributed among the members of the team, which speeds up the workflow. license of JIRA is a bit expensive side. Interface is not that good and also during navigating to a particular page, user feels a lot of difficulties. Not a common pace where burn down of all the team members together can be tracked of for selected date range. A software with very useful features, but what I like the most is the fact that it allows to correct errors and generate reports, in addition to offering excellent tools to carry out a project management in which the teams can organize themselves, provide a better administration of tasks that use scrum, kanban, which allows to establish priorities of the project, which has a very customizable interface both at the user level and at the business level, since it satisfies the needs at all levels and which can be integrated with other tools that the flow of work is much more bearable and the load less heavy. Sorting is sometimes complex, and the receipt of numerous emails for each registration that is made of tasks is somewhat heavy so I think there are still things that should be improved to make the software much more efficient. Using this software has allowed communication both internally and externally much more feasible, plus thanks to the management of projects is much easier, organized and less heavy for each team because that way everyone can take care of different tasks and we can all be to the day of progress and the errors that are presented to us to correct them. A very useful software for the management of projects of small, medium or large companies. I like that it has a very versatile and predictable interface, that is easy to use, that is visually attractive, and that it offers the best tools for the development and management of projects, being present in each phase in which since it is planned , ideas are exchanged, dates are predicted and task sharing is carried out, being able to visualize the progress of each team or user, this being ideal for monitoring large projects and the best thing is that you can choose a workflow so that the team can adapt to it in a simpler way and thus be able to launch software in the shortest possible time and with the best quality. To obtain some functions it is necessary to download an application outside of this software and cover your expenses as it is the case with the Gantt diagrams since it is not found as a function of it, that is why its prices can be somewhat high if want to implement adding more features. I really like the dashboard feature which gives us an overview of all project tasks during scrum. It's the best software for agile projects tracking. Also we have integration with bitbucket which makes the code repository related features available. none, absolutely like it, will continue using it and also I recommend this to other people. we were looking for a great project tracking software and JIRA solved it. A good project planning and issue reporting solution. It's easy to create tickets for tasks and assign them to employees. Bugs can also be reported quickly. It does its job well so I don't have any complaints. The website is easy to use. We use it to assign development tasks and track bugs. A good way to follow up on your projects. We can track where the problems are and follow up on the projects, plus the tools that we offer to help them keep all the team organized in the same platform. The projects and ideas created are assigned to members, but even so each participant You can interact and offer your ideas. The price may be a little high, but in general since we started using this software it has fulfilled all its goals so I can consider that as a reward. Previously our team had problems to communicate with each other while doing their tasks which for lack of opinions used to be delayed, now We have a platform that gives us a solution to this problem. No matter how many workflows you rotate it always adapts having a very user-friendly interface. Jira is undoubtedly the best software to improve your employee organization and create better project management. In this platform, I like that you can visually control many projects simultaneously. Like that you can add tickets and problems to the system very quickly and easily. With this tool, even on an intuitive level, you can easily work. Many commands require only task management, rather than a fully integrated platform. Because of this, this platform works a little slow. The application is difficult to configure for a large team, but once you configure it, all project management works fine. The program helps me plan the tasks that the development team will need to evaluate and do. It is very easy for me to create emails, forms, warnings and much more. The program helps us to contact teammates and supervise the entire process to solve each task. Jira extremely powerful and has nearly endless features. The task management feature is great. Either individually or as a group, all views are helpful. I am able to track my tasks, assign people to get opinions and help, and get a quick snapshot of what I need to do on a weekly basis. It is a very user-friendly interface and it has decent reporting. Permissions are not simple to manage: very often it will happen that a certain user lacks the permission to start or stop a sprint or to move certain issues. Many teams only need task management, not an entire fully integrated platform. Because of this, Jira also runs a bit slow sometimes. All our team works remotely all the time and Jira helps us to keep documented and track in our daily work. Every version release is archived with the respective tickets. Mar 29, 2018 Omar Allison // Sales Manager at Continental Steel & Tube Co. I like most of all, that I allways know exactly who is responsible for a specific problem in our project. Very easy planning with it. I liked the service, but its price for our small team is more than that of competitors. It is also not possible to configure notifications that come to e-mail. In addition, JILA does not have its own mobile client. JIRA is our main contact center in our team. It's very easy for me to create emails, forms, warnings and much more, and JIRA helps us to contact and control the whole process to solve each task. Using JIRA for last two years. Jira helped our agile team to boost productivity. Rich with features and easy to adopt tool. Would highly recommend it for small/medium/large organizations with co located/distributed teams.